College bowl games are in full swing. We’ve been watching all the games. If you are like us, good food is a must when watching football at home. 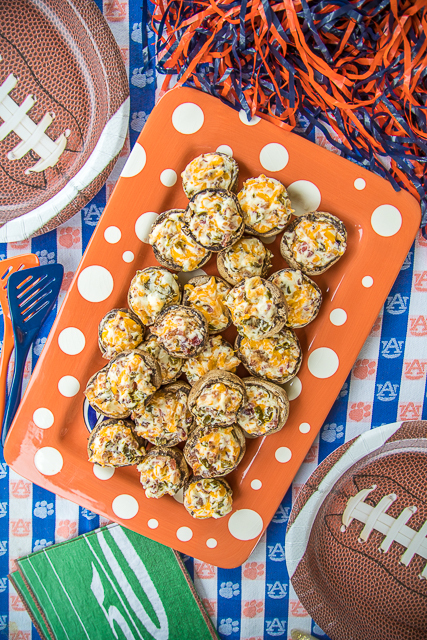 We usually eat just tailgating food as our meal while watching the games. 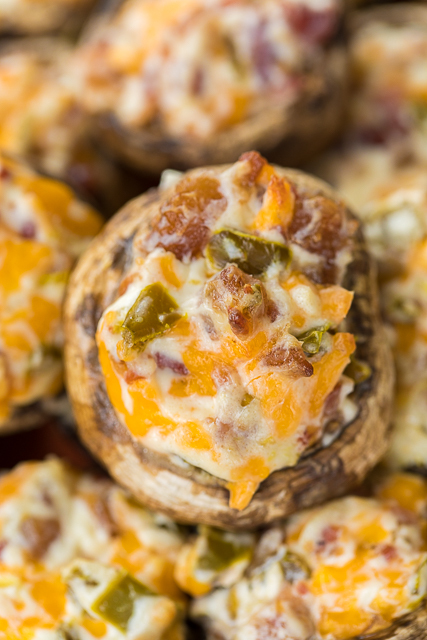 These Mushroom Jalapeño Poppers are PERFECT for watching all the big games. All you need is some Crack Dip and some Pigs in a Blanket and you are all set! 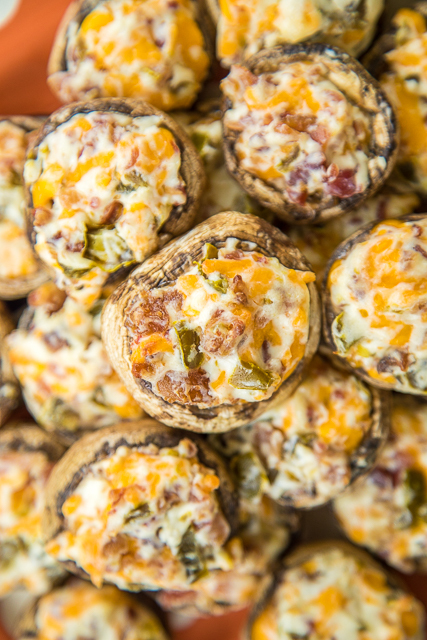 These Mushroom Jalapeño Poppers are loaded with cream cheese, jalapeños, bacon and cheddar cheese. Seriously delicious! I made these for the first college playoff games and they were gone in a flash. I plan on doubling the recipe next time. 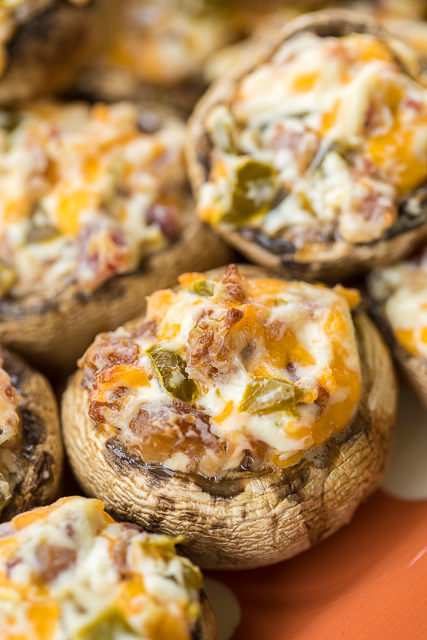 You can prepare the mushrooms ahead of time and refrigerate until you are ready to bake. 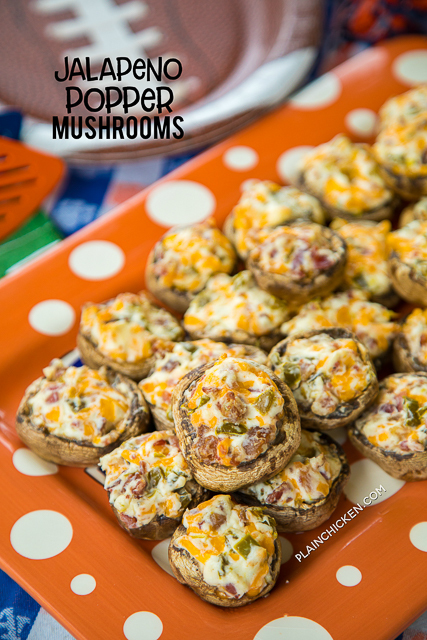 I suggest baking the mushrooms on a baking rack. The mushrooms release some liquid as they bake. Baking them on the rack will keep them from getting soggy. Preheat oven to 350ºF. Place a baking rack on a foil lined rimmed baking sheet. Set aside. I can imagine these babies are delicious. Yum! My kind of party food!! Thank you! I always wipe them off with a damp cloth. Are these still good leftover? Do you think these would taste good by swapping out the canned green jalapenos and using canned chilies instead? I'm just thinking for a more mild flavor.